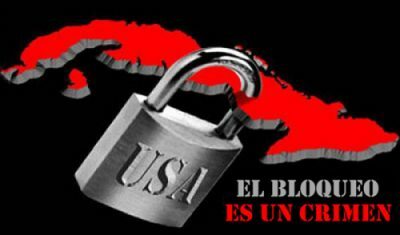 The United States’ economic, commercial and financial blockade against Cuba celebrates today 57 years of its official enactment, repudiating the international community which considers this policy anachronistic and a violation of human rights. It imposed a blockade on trade between the United States and Cuba, ordering the Treasury Secretary to implement it with respect to imports and the Secretary of Commerce to continue the blockade previously imposed on exports. This policy – considered in international law as an act of war – was based on measures aimed at undermining vital points of the Caribbean nation. It also promoted the non-supply and refining of oil by American oil companies that monopolized energy activity. According to the report “Necessity of ending the economic, commercial and financial blockade imposed by the United States of America against Cuba”, which covers the period between April 2017 and March 2018, U.S. policy in that period caused losses to Cuba estimated at 4.321 200 billion dollars.